Everyone over the age of four or five should visit the dentist for a professional hygiene appointment twice per year. In addition to thoroughly cleaning your teeth, our gentle hygienist or Dr. Hejazi will also inspect your gums for periodontal disease, the leading cause of tooth loss for American adults. Regular dental checkups and hygiene appointments with the team at Advent Dental are essential to avoiding advanced cases of tooth decay and gum disease. 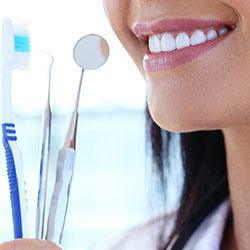 Instead, our skilled team will help you achieve and maintain the optimal level of oral health. If you haven’t visited a dentist for a dental checkup in six months or longer, it’s time to call our Spring Valley dentist and team to schedule your checkup with the Advent Dental team today. We look forward to helping you maintain your healthiest smiles for life. During your dental hygiene appointment, we’ll capture diagnostic images to give us a better look at your teeth and oral structures. Then, we’ll carefully remove plaque and tartar buildup from the hardest to access parts of teeth. 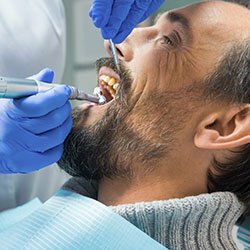 Even patients who are very careful with their at-home hygiene routines may not be able to completely remove all the plaque and tartar from their teeth. In fact, teeth have numerous small pits and grooves that even a single toothbrush bristle can’t access to remove the plaque. 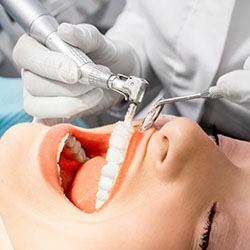 Additionally, these in-depth cleanings give us the opportunity to monitor for early warning signs of many oral health concerns including tooth decay, gum disease, temporomandibular joint (TMJ) dysfunction, teeth grinding and clenching, and oral cancer.